Discussion in 'Price Drops, Must-Have Freebies, and Deals' started by Eggroll Games, Apr 6, 2016. 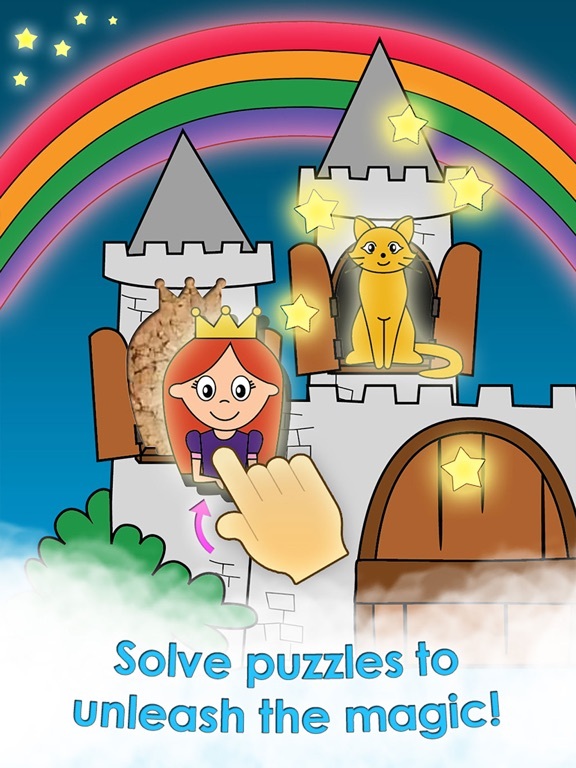 Princess Fairy Tale Puzzle Wonderland takes kids of all ages on an adventure through their imagination! 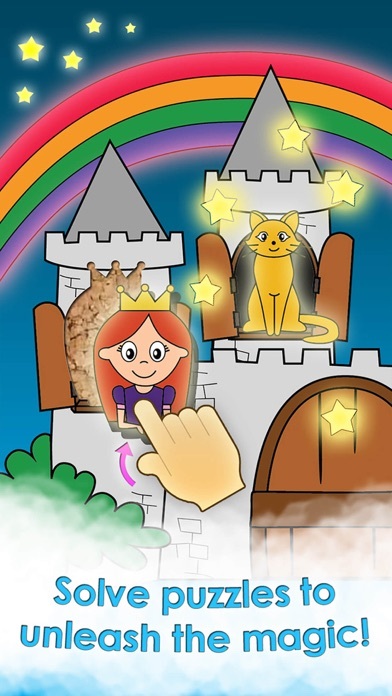 • Help the princess build a magical fantasy world. As each scene unfolds, new interactive characters and items appear! 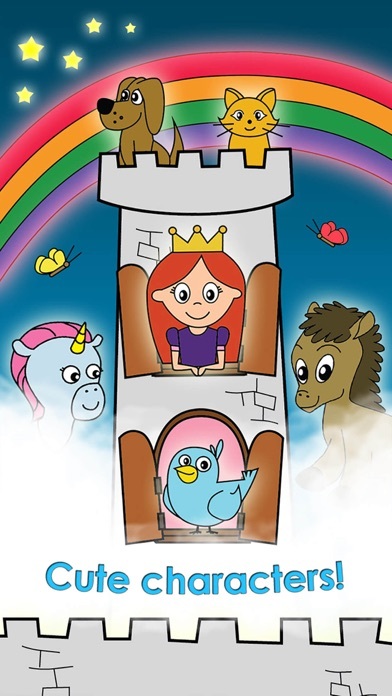 • Complete brain-building puzzles full of unicorns, rainbows, ponies, castles and even a handsome prince! Each puzzle tells it's own unique story! • Ride a wild unicorn through the clouds! • Decorate your room with a magic wand! 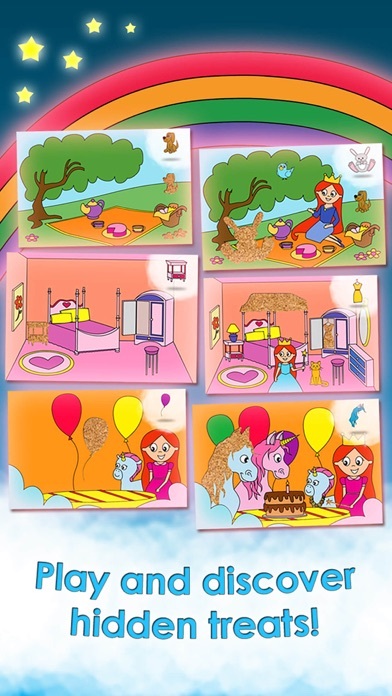 • Have a tea party with silly characters! 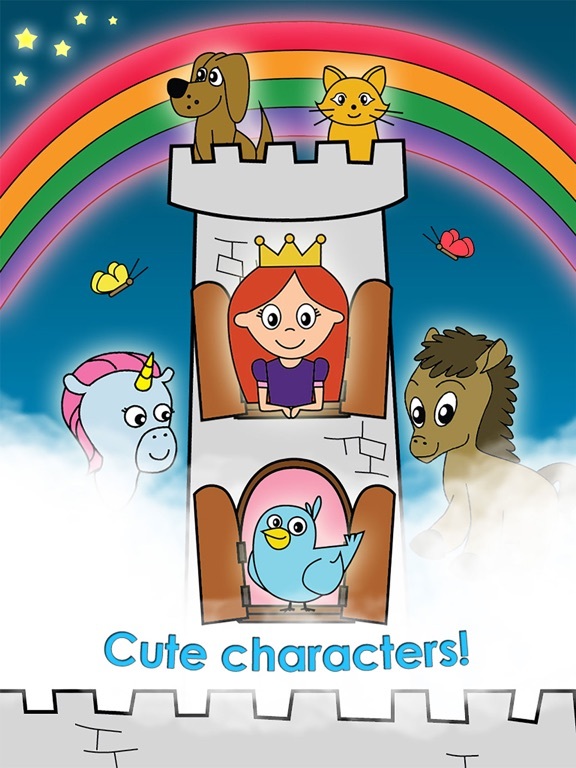 • Explore the castle to find cute pets! • Paint a royal family portrait! • Picnic with delicious cakes and snacks! 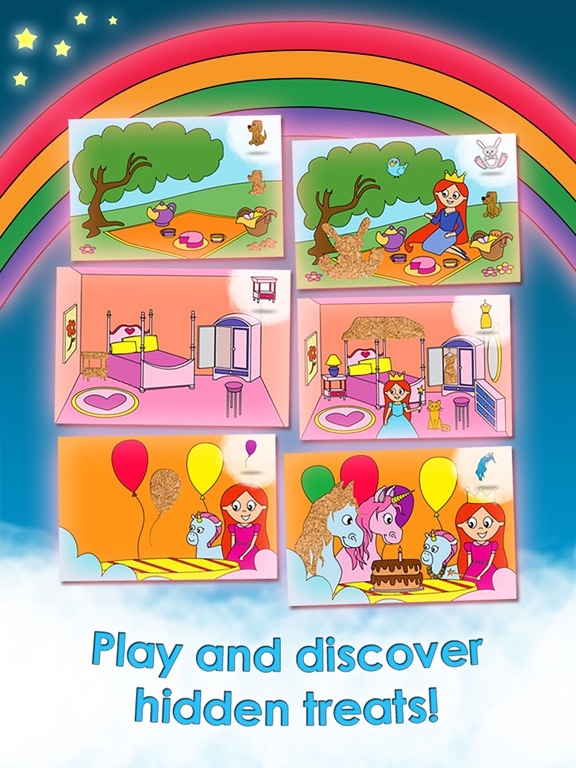 • An intuitive user interface ensures that even the youngest players can have fun too! 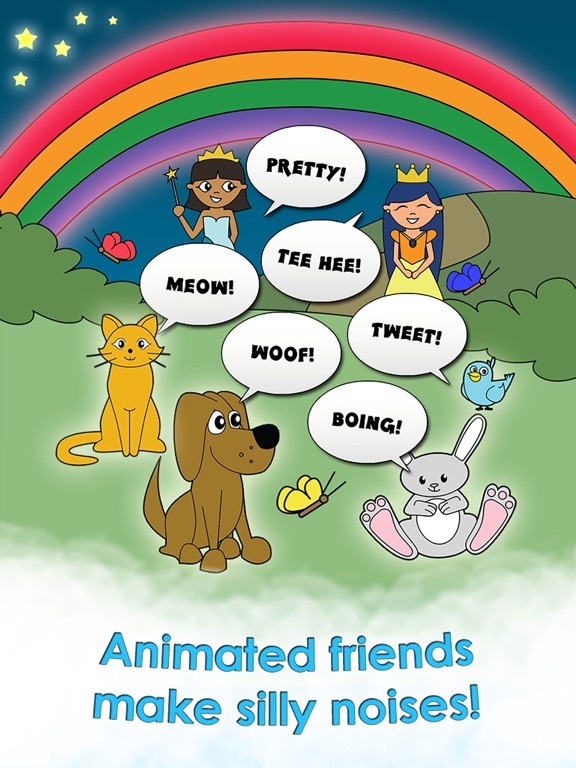 • Cute animals give positive feedback as each puzzle is completed! Puzzles can be exited or replayed. 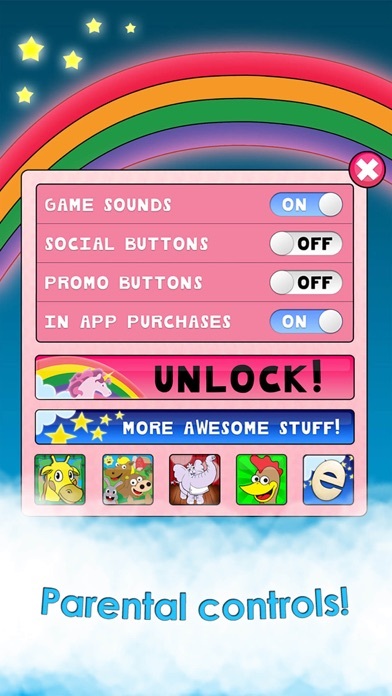 • Parental controls allow you to turn off sounds, purchases and social buttons. 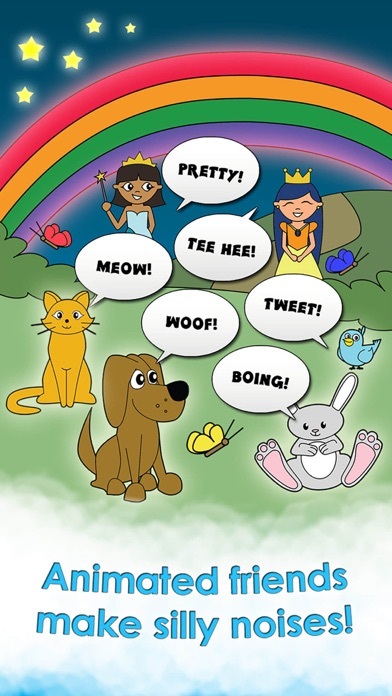 Eggroll Games builds interactive toys that promote learning and engage children through colorful interactivity without confusing buttons or menus. Like us on Facebook at facebook.com/eggrollgames, follow us on Twitter @eggrollgames or email us at princess@eggrollgames.com!